The Jaybird Freedom 2 are decent mixed usage sports headphones with a few more convenient design tweaks than the original Jaybird Freedom. They have the same build quality as the older model but are a bit more comfortable and adjustable thanks to their new earbud-like tips and cable management clip. 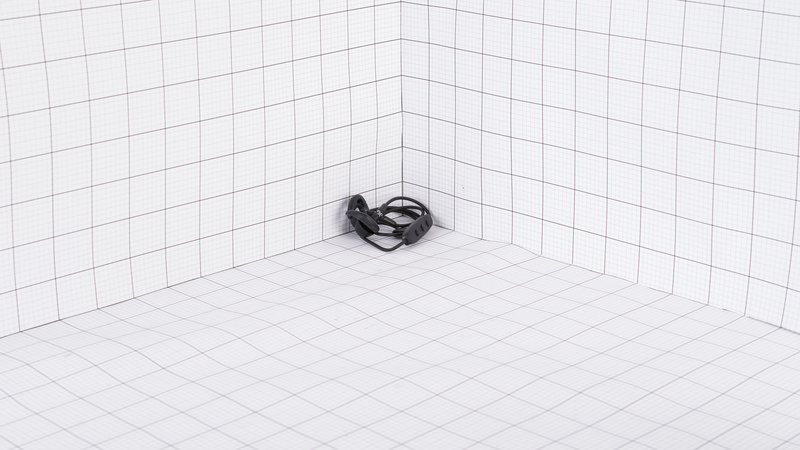 They're stable in-ears for sports and block enough noise to be suitable for commuting. They also barely leak which is good for noise sensitive environments like the office. Unfortunately, they have the same battery performance and bulky charging clip as original Freedoms, which is a bit disappointing. The Jaybird "Freedom 2" are almost identical to the original Jaybird Freedom but with a few more convenient design tweaks. They have a better cable management clip that lets you adjust the length of the Freedom 2 more easily than with the clip provided in the F5's (the original Freedom's) box. They also come with slightly more comfortable tips that look and feel a bit more like earbuds and do not have separate stability fins that you can remove like on the original Freedoms. Except from these minor changes everything is pretty much the same. The inline remote is still a bit more cumbersome than that of the Jaybird X3, and while they are portable enough to easily fit into your pockets, they have a bulky charging clip that will make them a bit unstable for running and working out if you leave it attached. On the upside, without the clip, they're a good sports headphone that won't fall from your ears even during more strenuous exercises. 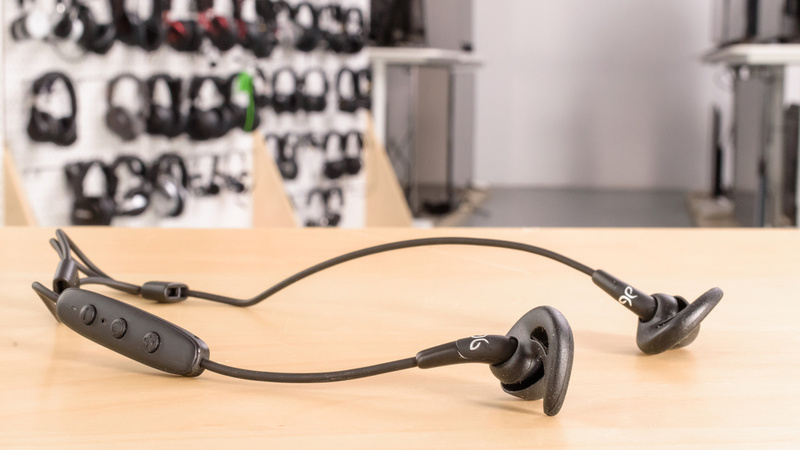 The Jaybird Freedom 2 are almost identical to the original Jaybird Freedom except for the new cable management clip that makes their design a bit more adjustable for different head shape and sizes. They also come with slightly better earbud-like tips that are more comfortable. However, apart from these minor changes the rest of the design and build quality is pretty much identical to the older model. They have the same sleek earbud design that's a lot smaller than the Jaybird X3 and most of the wireless in-ears we've tested, but their charging clip is bulky and cumbersome. They do not come in as many flashy color schemes as most sports headphones, but their subtle dark color scheme will work for most. They also come in a white and gold color variant if you want them to stick out a bit more. 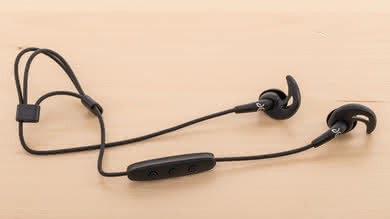 The Jaybird Freedom 2 are slightly more comfortable than the original Freedoms and the Tarah. They come with a different set of tips that feel like a cross between a typical in-ear design and earbuds. This means they do not quite go as deeply into your ear canal as the original Jaybird Freedom, which most will prefer, but they're also not quite as comfortable as some of the Bose earbuds we've tested. On the upside, they will not cause any soreness or fatigue, even after hours of listening, and they're a good fit for fans of in-ears and earbuds alike. The Jaybird Freedom 2's control scheme is efficient and straightforward. 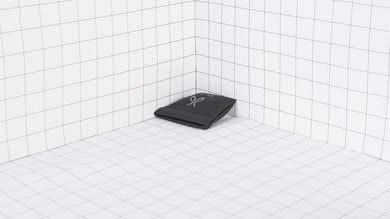 They provide the essential functions; call/music, track skipping, and volume controls. The in-line remote is not as wide or as responsive as that of the Jaybird X3, but it's simple and easy-to-use. 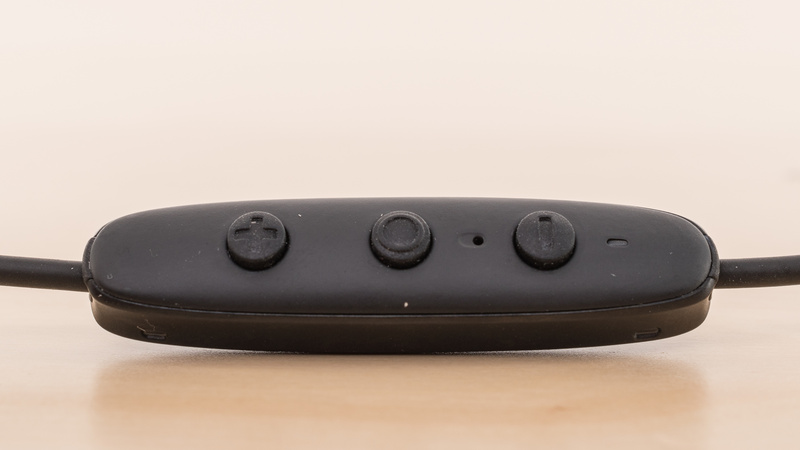 The buttons provide slightly more feedback than the original, but it's not very noticeable. 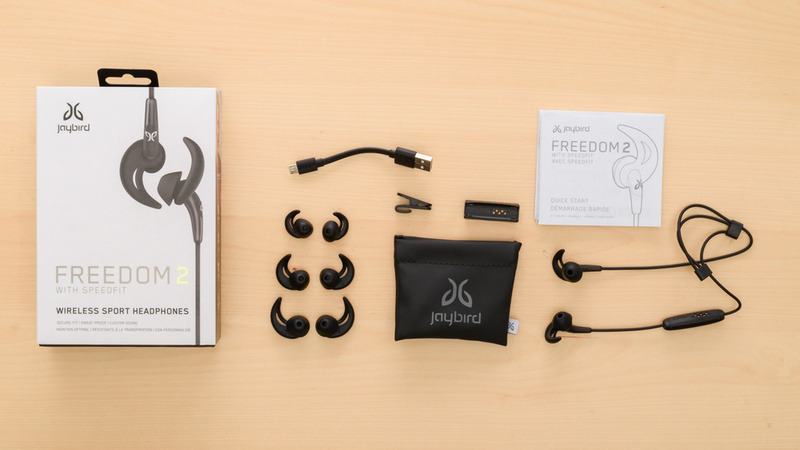 The Jaybird Freedom 2, like most earbuds and in-ears, are very breathable headphones. The redesign of the tips makes them feel a bit more like earbuds which will trap slightly more heat within the notch of your ear when compared to the original Freedoms without the stabilizing fins. But on the upside, it's a negligible temperature difference that will not be noticeable under most circumstances, even during more intense physical activity. The Jaybird Freedom 2 have a very similar size and design as the original Freedom. They have a slightly longer cable, and the new cable management clip does make them slightly bulkier but not by much. They're still very portable headphones and compact enough to fit into almost any pockets. Unfortunately, if you include the charging accessory, they become less portable, but you most likely won't keep the charging clip attached when using the Freedom 2 outdoors. The Jaybird Freedom 2 are decently well-built and with the same base design and build quality of the original Jaybird Freedom. The earbuds are lightweight and made of a tough plastic that won't easily break even after multiple drops. The in-line remote is decent but feels a bit cheap, when compared to the X2 or the X3. The cable on the Freedom 2 is a bit longer and the in-line remote buttons a tad more responsive but build quality wise they are essentially the same, once you remove the new earbud-like tips and cable management clips. 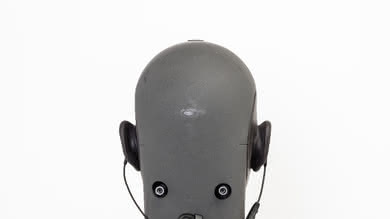 These headphones are quite stable. They're lightweight, wireless and don't move much once in your ear. They have a new set of tips that already has the stability fins attached which makes them a bit easier to get the right fit. They're also more stable than the original Freedoms if you do not attach the stability fins which may happen occasionally since they are not one unit like on the Jaybird Freedom 2. 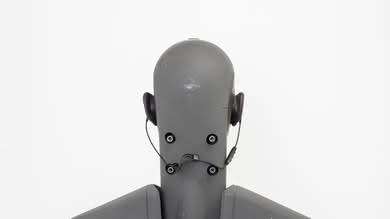 They also have better cable management out of the box but you have to adjust it just right for your head size or the cable will tug a little on the earbuds which might pull them out during more strenuous exercises and workout routines. The Jaybird "Freedom 2" are average-at-best sounding closed-back in-ears. They have a deep, consistent, and powerful bass, and even mid-range, and a decently balanced treble. However, their bass is overly heavy, which fans of heavy bass may like, but tends to overpower the vocals and lead instruments. Also, their mid-range is a bit recessed, meaning vocals and other instruments are a bit pushed back, and their treble lacks some detail and could be a bit sharp and piercing on S and T sounds. Additionally, like most other in-ear headphones, they don't have a large and speaker-like soundstage. Compared to the original Freedom, the Freedom II have a nearly identical mid and treble response, but with significantly more bass. The bass is above-average. LFE (low-frequency extension) is at 10Hz. The response throughout the range is flat and even, but consistently over our neutral target by 5dB. This means the bass is deep, punchy, and quite heavy, which may be pleasing to the fans of heavy bass. However, it won't be neutral and balanced and could overpower the vocals and lead instruments. The mid-range of the Jaybird Freedom 2 is decent. The response throughout the range is very even, but the wide 5dB recess centered around 700Hz pushes the vocals and lead instruments towards the back of the mix. Also, the subtle underemphasis in high-mid has a small but negative effect on the intensity and projection of instruments in the mix. The treble response of the Jaybird Freedom 2 is decent. Low-treble is underemphasized by 3.5dB due to the dip centered around 4KHz. This negatively affects the detail and articulation of vocals and lead instruments. However, the peaks in mid-treble around 6KHz and 10KHz could make the S and Ts (sibilances) a bit sharp and piercing. This will be mostly noticeable on vocals and cymbals. 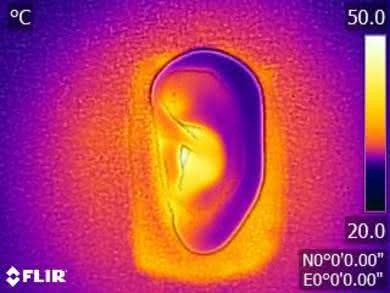 The stereo imaging of the Jaybird Freedom 2 is great. Their weighted group delay is at 0.18, which is among the lowest we have measured. The group delay graph also shows that the entire response is well below our audibility threshold. This ensures a tight bass and a transparent treble reproduction. Also, the L/R drivers of our test unit were very well-matched in frequency, amplitude, and phase response. This is important for accurate placement and localization of objects, such as footsteps and instruments, in the stereo field. The harmonic distortion performance of the Jaybird Freedom 2 is average. The overall amount of harmonic distortion is elevated a bit, especially in the treble range. This could make the sound of those frequencies a bit harsh and impure. However, the THD produced in the bass range is within good limits, and there is not a big jump in the THD under heavier loads. The Jaybird "Freedom 2" isolate well enough passively to be a decent option for commuting and blocking the noise of a busy office. They also barely leak so you can play your music at higher volumes to mask even more noise without distracting the people around you. They won't be the ideal choice if you typically listen to music in very loud and noisy conditions, but they should be good enough for most use cases and environments. Unfortunately, this also means they may be a bit too isolating for outdoor runners who need to monitor their environment for traffic and obstacles. The isolation performance is decent. In the bass range, where the rumble of airplane and bus engines sits, they achieved almost 7dB of isolation which is about average. In the mid-range, important for blocking out speech, they reduce outside noise by more than 20dB, which is very good. In the treble range, occupied by sharp S and T sounds, they isolate by more than 38dB, which is great. Compared to the original Jaybird Freedom, the Jaybird Freedom 2 perform slightly worse in the bass and treble ranges, probably due to their more earbud-like design. However, the difference won't be noticeable to most. The leakage performance is great. These in-ears do not leak in the bass and mid ranges, and their leakage is concentrated in the treble range. Therefore, their leakage will be thin and sharp sounding. The overall level of the leakage is quiet too. With the music at 100dB SPL, the leakage at 1 foot away averages at 28dB SPL and peaks at 44dB SPL, which is noticeably quieter than the noise floor of an average office. The in-line microphone of the Jaybird "Freedom 2" is mediocre-at-best. In quiet environments, speech recorded or transmitted with this mic will sound relatively thin, noticeably muffled, and lacking in detail. In noisy situations, they will struggle to separate speech from ambient noise, even in moderately loud environments such as a busy street. The Jaybird Freedom 2's microphone has a sub-par recording quality. 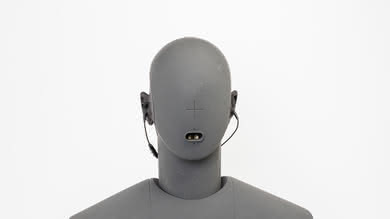 The LFE (low-frequency extension) of 486Hz means speech recorded/transmitted with this mic will sound relatively thin. The HFE (high-frequency extension) of 3.2KHz results in a speech that is muffled and lacks quite a bit of detail. However, speech will still be decently intelligible, since speech comprehensibility is mostly dependent on the 500Hz-4Khz range. The response between the LFE and HFE points is decent. The in-line microphone is mediocre at noise handling. 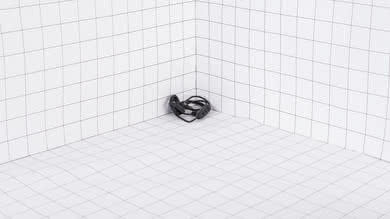 In our SpNR test, it achieved a speech-to-noise ratio of 14dB, indicating that they are best suited for quiet environments. But they won't be ideal for moderate and loud environments, as they will have difficulty fully separating speech from ambient noise. The Jaybird "Freedom 2" have the same 4-hour battery life as the older generation Jaybird Freedom which is a bit disappointing. On the upside, they do not take too long to charge, the charging clip provides an additional 4 hours of power, and you can use them while they're charging which is good if you're close to a power source like being at the office. Unfortunately, the charging clip is cumbersome and reduces their stability which makes it less convenient to have it attached and charging. On the other hand, the MySound app provides a great parametric equalizer and community-oriented experience. It lacks a few features, but overall it's an above-average app that lets you personalize your Jaybirds to sound the way you want. The Jaybird Freedom 2 have a 4-hour battery life just like the original Jaybird Freedom. They charge relatively fast, at 1.4 hours and the charging clip adds another 4 hours to the battery life which should last you about a day's worth of use, if you take breaks or keep the charging clip attached. Unfortunately, they do not automatically turn off to save power, which means the battery will continue to drain as long as they are paired to a device even when inactive. Jaybird MySound is a well-designed and community-oriented app that lets you share presets and EQs with other Jaybird Freedom 2 users. It also has an excellent parametric equalizer that lets you to customize the sound profile of your Freedom 2 quite a bit. While the app lacks some additional features, like room effects, or hear-though modes, overall it feels useful and well made. The Freedom 2s also display battery data directly in your notification tab which is a nice touch. Update: 08/03/2019: We've updated the app score of the Jaybird MySound app to reflect the customization level of their Equalizer. 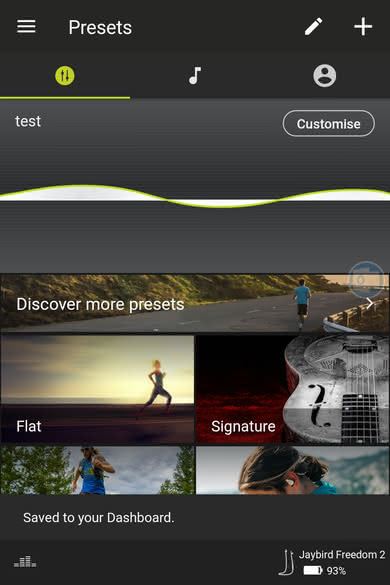 Unlike most phone apps, they have a parametric EQ compared to a typical 5-band graphic one like on the Jabra Elite 65t. The Jaybird "Freedom 2" are Bluetooth-only headphones with a good wireless range but do not support NFC for easy pairing with mobile phones. On the upside, they can connect to multiple devices simultaneously which allows you to easily switch between sources, like your phone or PC. Unfortunately, like most Bluetooth headphones, they have a bit too much latency for watching a lot of videos or gaming. They also do not work with your consoles via Bluetooth. 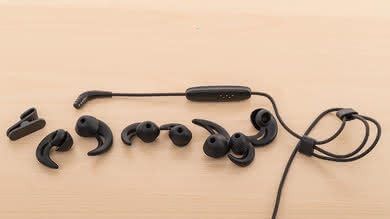 These headphones do not support NFC but they're fairly easy to pair with most Bluetooth devices and have multi-point pairing so you can easily switch between Bluetooth sources once connected. The Jaybird Freedom 2 have no wired option. If you want a good sounding wired in-ear, then check the 1More Triple Driver In-Ear. These headphones do not have a dock. If you want a headphone that's versatile and has a dock, try the SteelSeries Arctis 7. However, they won't be as portable or as suitable for sports as the Jaybird Freedom 2. 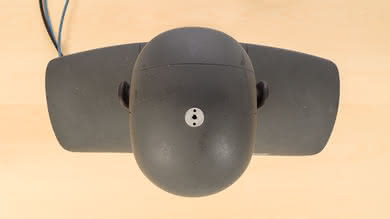 The Jaybird Freedom 2 have a good wireless range. They reached up to 40 ft when we measured their obstructed range by leaving the Bluetooth source in another room. They also have an excellent range in direct line of sight for a compact in-ear headphone. 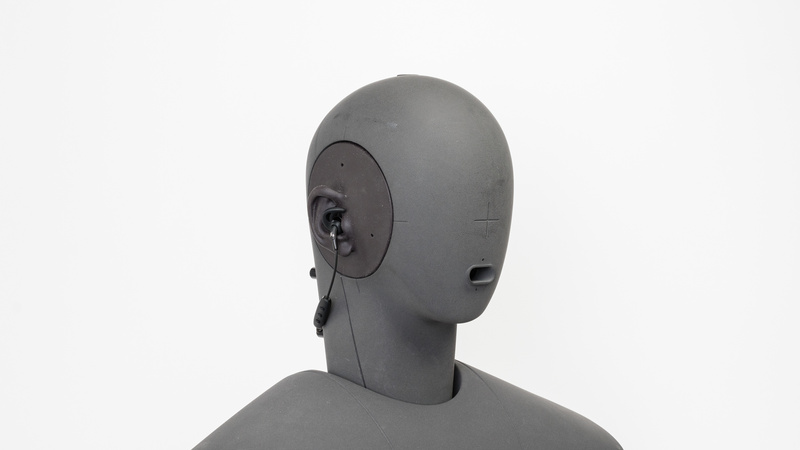 These headphones have quite a bit of latency which will be noticeable when watching videos. It's not more than most typical Bluetooth headphones but it won't be ideal for gaming and watching movies. The Jaybird "Freedom 2" are decent mixed usage sports headphones. They're fairly similar to the original Jaybird Freedom only slightly changing the provided tips which are now a bit more comfortable and closer in shape to earbuds than in-ears. They also have a new cable management clip and design that you can't remove but does make Freedom 2 a bit easier to adjust for different head sizes than the original Freedoms. Overall, they're a lightweight and comfortable wireless in-ear with a good wireless range, a decent build quality, and a customizable sound. Unfortunately, their charging clip is just as limiting as on the original and if you lose it, you won't be able to charge your headphones. See our recommendations for the best closed-back headphones, the best cheap earbuds, and the best earbuds. The Jaybird Freedom 2 are a slightly better headphone overall than the Bose SoundSport Wireless. The Freedoms have a better isolating fit which is more suitable for commuting and loud environments. They also have a customizable sound and easier to use controls. The Bose, however, are a bit more compact when not in their bulky charring case. They also have a better-balanced sound quality that may not even need an EQ on most tracks. They have a longer battery life overall, and a more typical earbud fit that some will prefer over that of the Freedom 2. Decent for most use cases. The Jaybird Freedom 2 have a sleek wireless in-ear design that's stable enough for working out and most sports. They also block enough noise to use on your daily commutes. They also do not leak much which makes them an above-average option for the office. 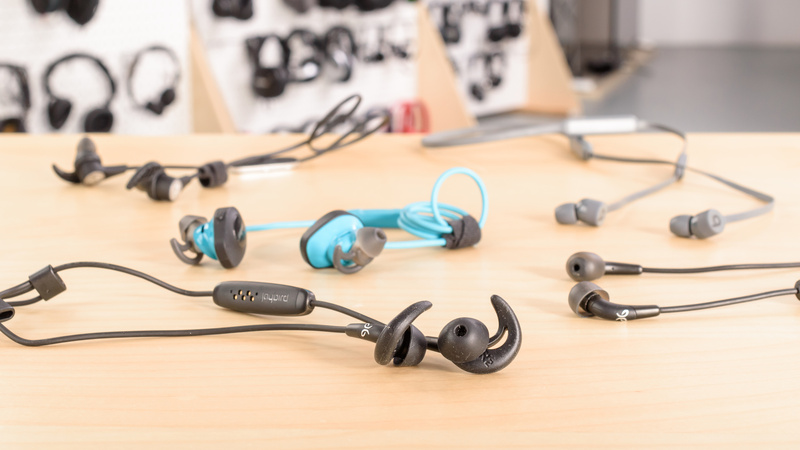 Unfortunately, they're not as sturdy as some of the other Jaybird models and they have a relatively short battery life, and a bulky, cumbersome charging clip makes them a bit unstable when attached. Average for critical listening. They have a decent audio reproduction with a good but slightly overpowering bass that makes them sound a bit boomy. The slightly recessed mid-range and inconsistent treble also makes instruments and vocals sound a bit distant and lacking in clarity. 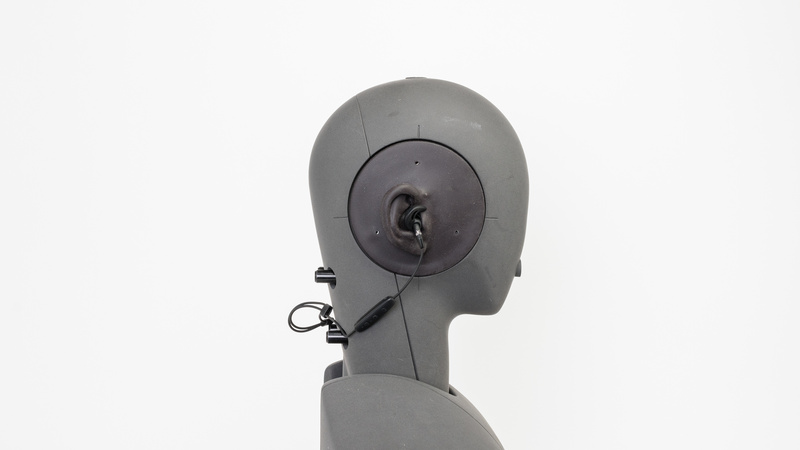 However, due to their closed-back in-ear/earbud design, they have a poor soundstage which won't be ideal for more critical listeners. On the upside, their overall sound quality is good enough for most, and they come with a good parametric EQ so you can reduce a bit of the bass if it's too much for you. Above-average for commuting. They're portable and passively isolate better than some noise canceling headphones. They also have easy to use controls and will easily fit into most pockets. Unfortunately, their charging clip is a bit cumbersome and limiting. 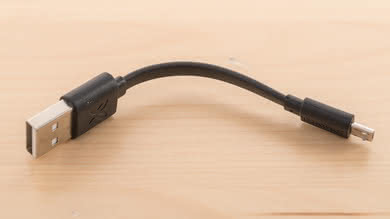 If you forget the clip at home or lose it while commuting, then you won't be able to charge the headphones. The Jaybird Freedom 2 are good headphones for sports. 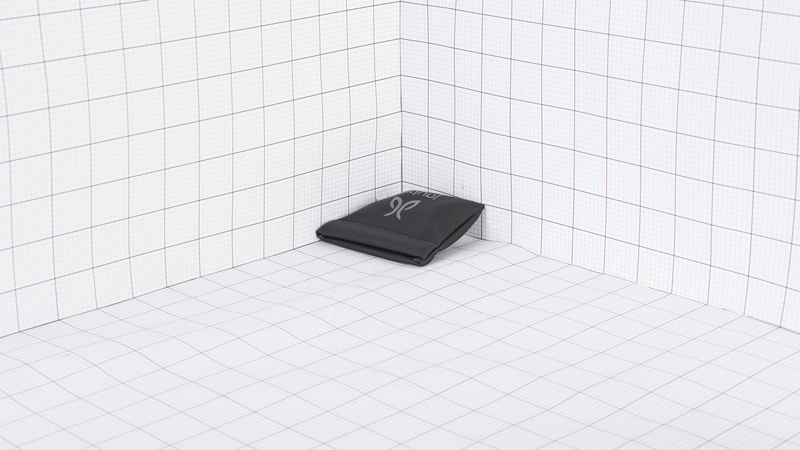 They have a lightweight and portable design that's easy to have on you at all times. They're comfortable, easy to use and stable enough to workout with. Unfortunately, if you attach the bulky charging clip on the in-line remote, it will make them less stable and pulls on the right earbud which might slip out of your ear during more intense workouts. Above-average for office use. They isolate well and barely leak. This makes them suitable to use in a lively or quiet office environment. Thier battery life is relatively short, but on the upside, you can use them while they are charging. Below-average for home theater. They have a bit too much latency to comfortably watch a lot of video content and movies. Unfortunately, since they are Bluetooth only headphones, there is no other connection option with less latency.